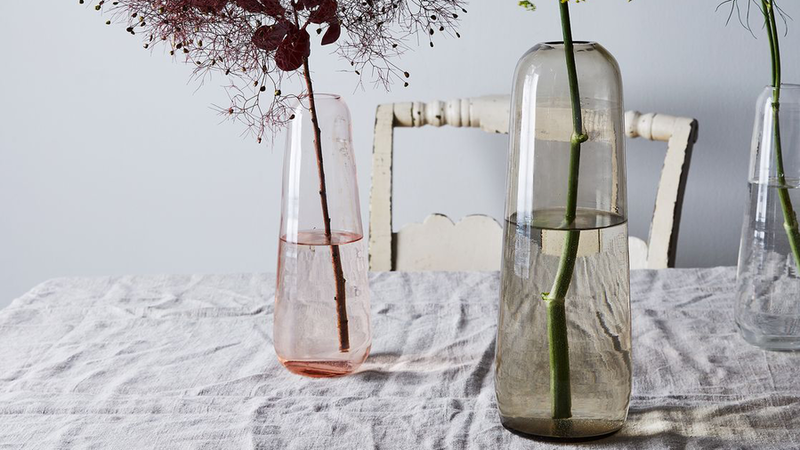 Available in two sizes and three hues—pink, smoke, and clear—these festive translucent vases are stunning when filled with stems of holly or eucalyptus. 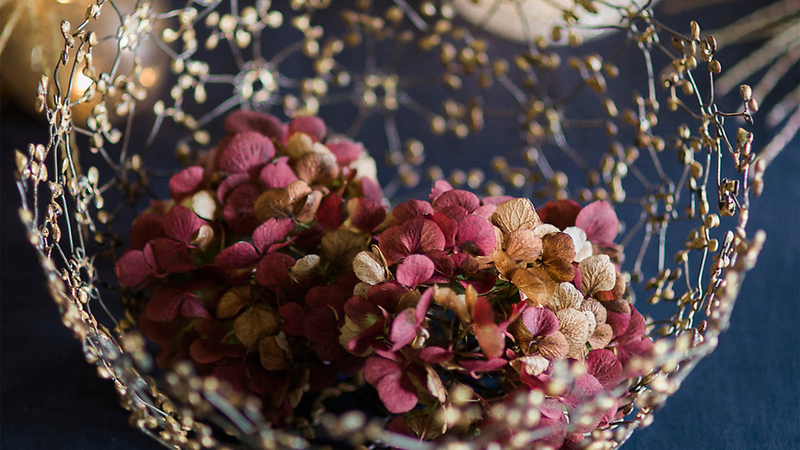 Arrange them down the center of your tablescape for a modern holiday look. What says, “It’s the holidays!” more than a little decadence and glamour? 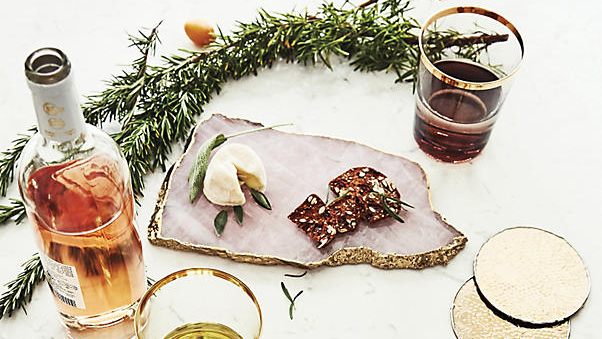 Bring that same spirit to your table setting with these unique, hand-hewn agate cheese boards finished with gold electroplating. Available in six stunning colors. Delicate and intricate, this lacework bowl is the perfect ornamental accent to bring life to your holiday table. From clove-dotted oranges to candy canes, fill these with your sweetest-smelling holiday treats. 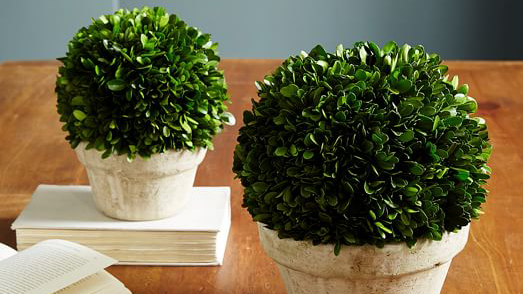 These freeze-dried boxwood plants will spruce up any space this holiday season, and could be especially splendid lined down the center of a snowy winter-themed table setting. 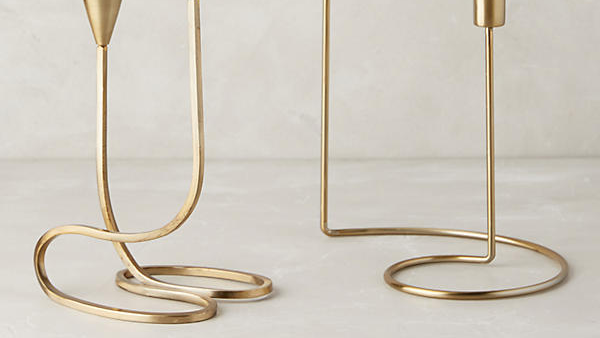 Candlesticks that are as sculptural as they are functional. These cursive numbers are sure to be a conversation starter. Wreaths are not only for doors, but also can be great as table décor. 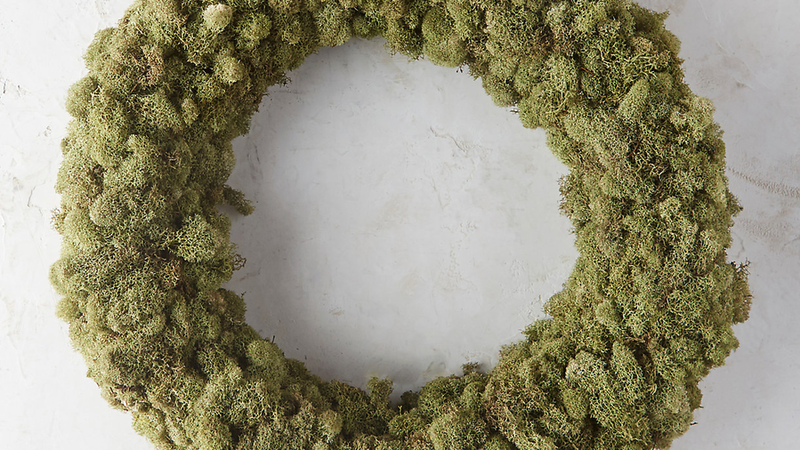 This festive reindeer moss wreath will add a woodsy element to a holiday tablescape. 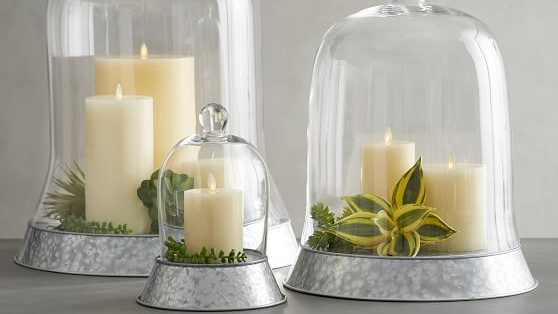 Use it as the base for a serving bowl or to wrap around a set of pillar candles. 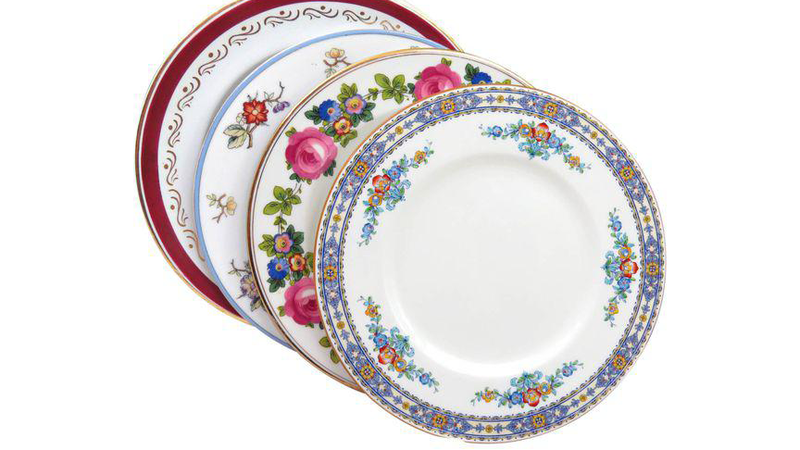 At first thought, setting a table with fine China these days may seem like something out of your grandmother’s book. However, a new trend we’re loving for the holidays is playing around with mismatched China sets to bring color and personality to your décor. Available in three sizes, this classic cloche with a galvanized base is a suitable vehicle for your favorite holiday goodies—no matter how whimsical or classic you’d like to go in your decorations. Tartan is timeless and epitomizes the holiday look. These napkins will prove that notion for celebrations now and in the years to come. Available in sets of four, they can also be monogrammed for an extra-personal touch. 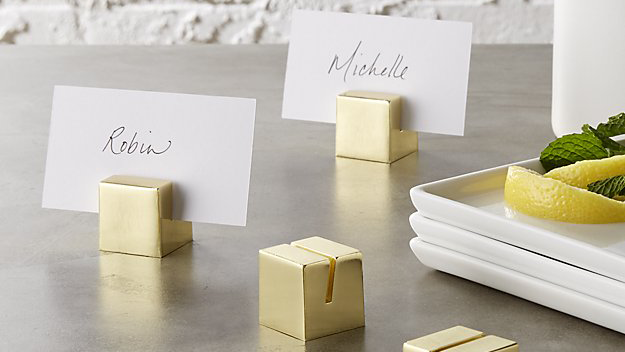 These modern, brushed gold place card holders are sophisticated and simple, and would surely add to the elegance of your holiday soirée.